Ernest Shepard, the son of Henry Dunkin Shepard, an architect, was born in St John's Wood, on 10th December 1879. He was educated at St Paul's School. Two of his fellow students were G. K. Chesterton and Compton Mackenzie. In 1886 he enrolled at Heatherley's School of Art, where he met George Stampa. Shepard worked as an artist and exhibited at the Royal Academy in 1901. 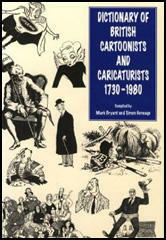 He also contributed cartoons and illustrations to Punch Magazine, Daily Graphic, Illustrated London News, London Opinion and The Sketch. In 1907 his friend, Linley Sambourne, arranged for his work to appear in Punch Magazine. During the First World War he served in the Royal Artillery (1915-1918) on the Western Front. He achieved the rank of major and in 1917 he won the Military Cross while taking part in the offensive at Passchendaele. After the war he returned to Punch Magazine. He was considered to be a moderate political cartoonist. His step-daughter, Penelope Fitzgerald argued: "He (Shepard) never found it easy to get a likeness... Nor could he manage the sheer indignation which gives political satire its weight." In 1924 Shepard began working with his colleague on the magazine, A. A. Milne, on a book of children's poems, When We were Very Young. The book was a great success and was followed by Winnie-the-Pooh (1926) and The House at Pooh Corner (1928). According to Mark Bryant Shepard was influenced by the work of Phil May and Charles Keene. He added that: "Shepard liked using small stubs of pencil and worked in ink, pen and occasional black crayon on smooth art board or watercolour paper. He rarely used solid blacks, preferring cross-hatching and fine line or crayon for shadows." 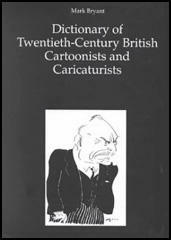 In 1935 Shepard succeeded Linley Sambourne as second cartoonist at Punch Magazine in 1935. At the end of the Second World War he replaced Bernard Partridge as first cartoonist and after four years handed over to Leslie Illingworth. Ernest Shepard died in Midhurst on 24th March 1976, aged 96.